MSPARP Boards - Friendsim - Discussion on our new buddies!! MSPARP Boards > Off Topic > Update Discussion (SPOILER ALERT) > Friendsim - Discussion on our new buddies!! Full Version: Friendsim - Discussion on our new buddies!! Hey! Just opening this cuz, woah, looks like there's no public place to chat about MSPA Reader's misadventures on here yet, and I'm capitalizing on such a lack. oh boy do i have a LOT of things to say about this topic. but i don’t have enough time right now aaaa i’ll add more stuff later i promise. for one thing, i’m incredibly fond of vaporwave so needless to say cirava’s route definitely sparked my interest. amisia’s one was… interesting as well, i really like her character overall. when i did the extended zodiac quiz i actually got sagira, which is her sign in case you didn’t know. To be honest Polypa is my favorite! I swear all the indigoes are psychotic killers, just...equius.....or.....him. polypa's route wasn't really what i had in mind and it was one of shortest routes i think ? but still, she's a very interesting character if i do say so myself. i do hope act II reveals some more info on her and as well as her past. i kinda get all the hate going on with zebruh but like, personally (and this is just my opinion) i can't even take him seriously anymore lmao. and to be completely honest he's not the absolute worst troll to ever set foot on alternia, i just think everyone has their positives and negatives (but that's just me talking and i thoroughly respect your view on him). now regarding classpects ! i remember someone said that ardata's aspect was space which i don't necessarily agree with but hey. azdaja might be a prince of mind, lemme explain. as calliope states "a prince could be viewed as "one who destroys x, or causes destruction through x" if x is the aspect." i think the latter definition suits adzaja better since he literally uses his mind powers to straight up damage/destroy his opponents in the tournament. in addition, princes tend to have a certain duality with their aspect , which i guess we can attribute that to the fact that konnyl (his "matesprit") and him appear to be in a fairly conflictous relationship as if his "heart" (the heart aspect is directly opposite to mind) is withdrawing himself from his heart and concentrating more on himself, or his mind quite literally (oh god i hope this makes sense). princes also have an affiliation with "magic beams" according to this guide which regarding azdaja, are his psionic blasts. he even literally mentions the term "prince" not once but twice during the game. but hey that's just my view on his character, perhaps i'm reading too much into it ?? 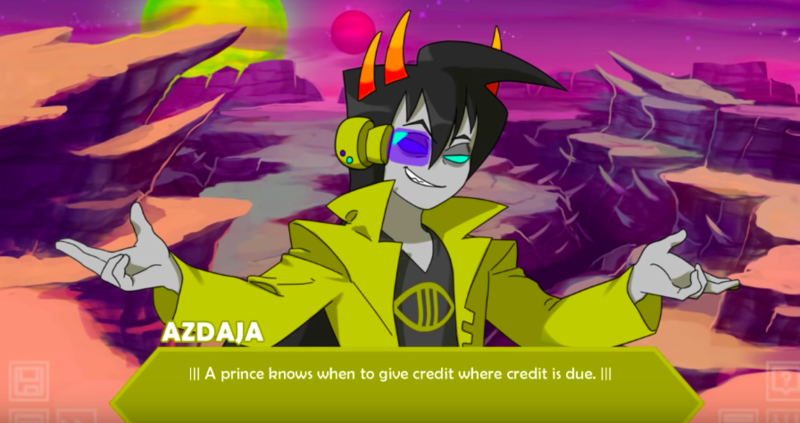 so do you have any classpect theories on the new trolls ? 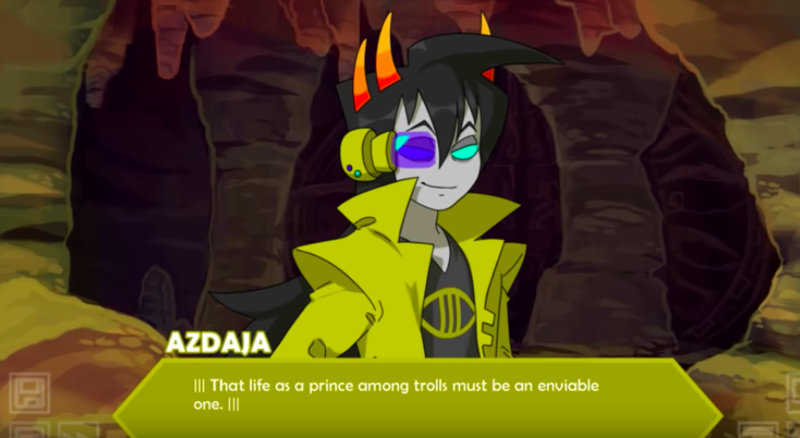 I do agree that Zebruh isn't the worst troll ever to set foot on Alternia, as far as what he does. As for Azdaja, I agree! Here are some other ideas I've got on classpects! Lemme know if you want me to go in detail about any of those! Also- yes, I think it was Marvus in Remeles route! hmmm... seer of blood for tyzias seems pretty accurate ! i was also thought of mage of blood as her title (perhaps that would better suit galekh) ?? on the topic of theories, i actually have one in regards to the tetrarchs. the term "tetrarch" (tetra literally means four in latin) means four joint rulers. 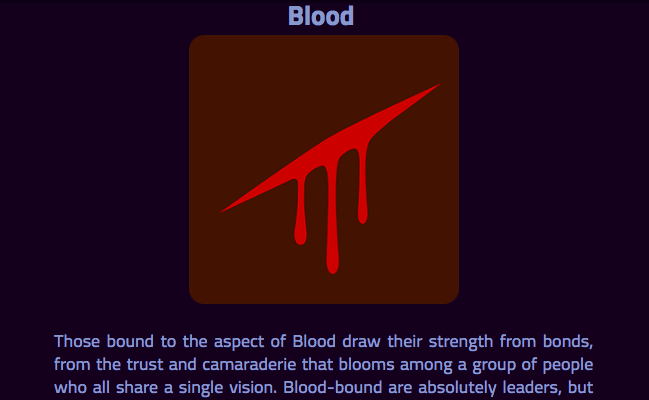 so maybe the four blood players not counting trizza (dammek, tyzias, galekh and stelsa) are the tetrarchs of the rebellion ?? after all blood players are, according to the extended zodiac "absolutely leaders". 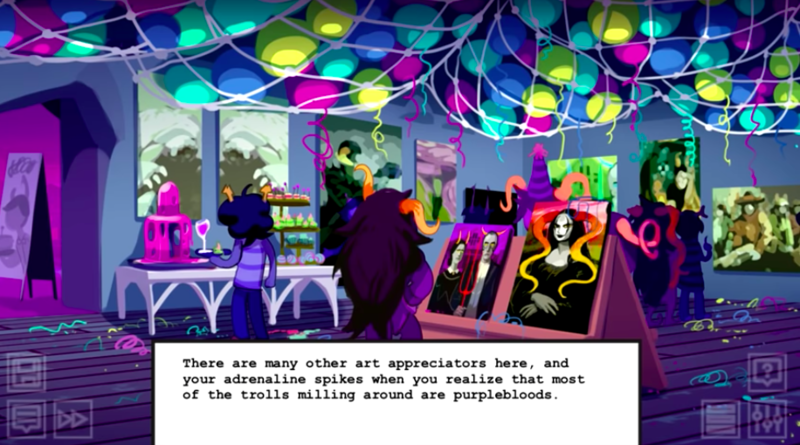 like i suppose this would make sense since dammek is confirmed to be one and if i'm not mistaken xefros at some point deliberately states that there are other tetrarchs in this as well. also i really enjoy the fact that you can see other people’s choices and not just your own. i’ll probably modify some of my answers later.